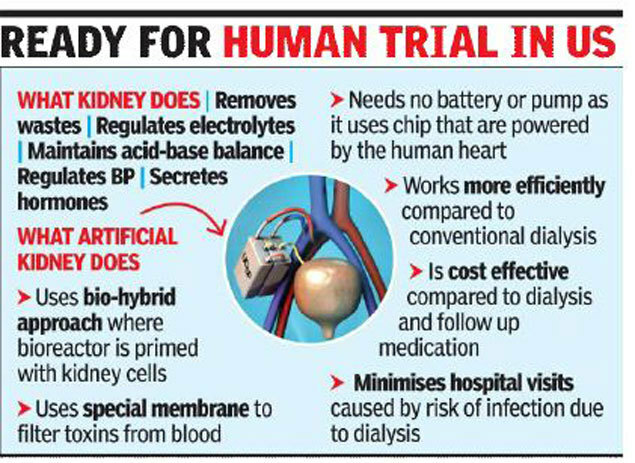 World’s First Artificial Kidney Is All Set To Replace Dialysis in 2-3 Years. Here is how it works ! | Do You Know? 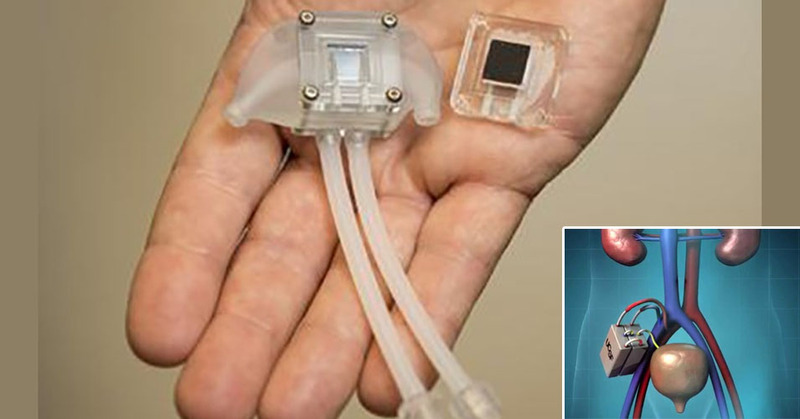 World’s First Artificial Kidney Is All Set To Replace Dialysis in 2-3 Years. Here is how it works ! It is a microchip made in nanotechnology. Each kidney will have 15 microchips built one atop the other. They will act as filters, and they will hold living renal cells which will find its way to grow around those microchips. They will mimic the real kidney. Well, the primary goal is a steady blood flow through the device. 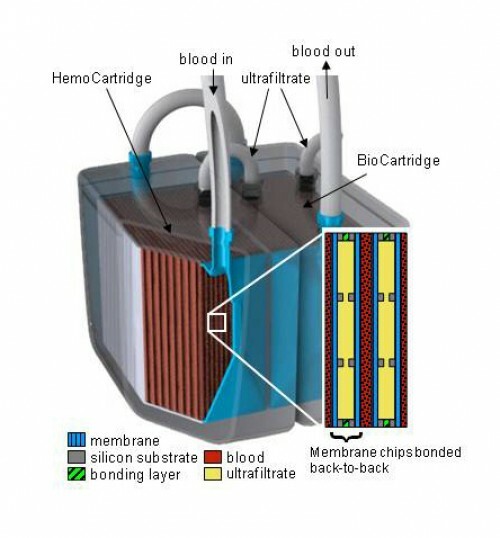 Engineers are working and testing every single detail of this device to make sure that the device can safely let the blood flow through it without clotting or damage anything. So far, this solution has proven to be much better than a transplant from a human donor. The rejection factor has been zero! The newest invention with renal cells is something completely new, and the prototype is the size of a coffee cup. It does everything just like the healthy kidney, and it even regulates the blood pressure, it filters all the toxins (like medications and food supplements). Artificial kidneys are not a new thing. There have been some experiments in the past. Four years ago, a team of scientists successfully transplanted an artificial kidney to some animals. It started producing urine. However, scientists weren’t satisfied. That was an old idea. They used an old kidney which they cleaned up from all the unwanted cells to get a mold similar to a hive. Then they reconstructed a kidney using donor’s cells. 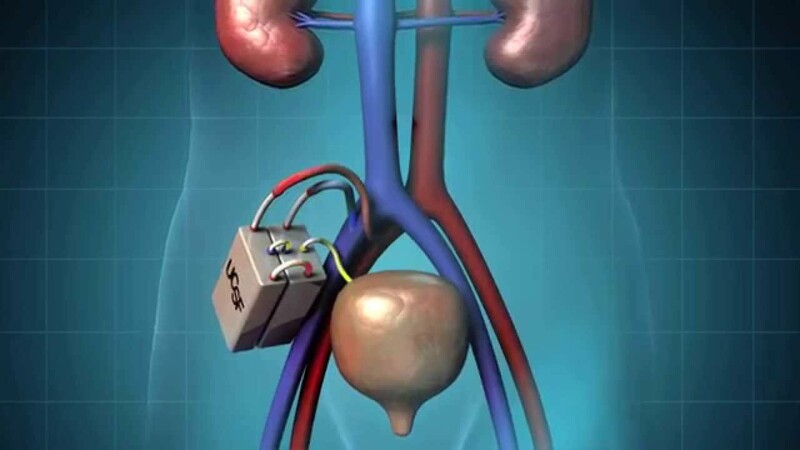 Lab tests confirmed that an artificial kidney could produce somewhere around 23% of urine. However, when they installed that kind of a kidney into a rat, it only got 5% of urine’s production. But that was just beginning. Although there haven’t been any human trials (and will not be until the next year), scientists are assuring us that bionic kidney has a zero rejection factor.